Embattled former Minister of State for Defence, Mr Musiliu Obanikoro, has signed an undertaking to return N480million to the Federal Government. Obanikoro has also submitted his United States of America and Nigerian passports to the Economic and Financial Crimes Commission, to prevent him from travelling out of the country. In addition, the ex-minister has provided two sureties who are directors in the Federal Civil Service. Punch reports that these were part of the conditions given to the ex-minister for his release. 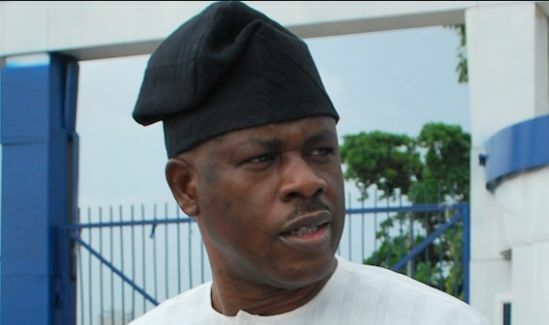 A source said, “The EFCC asked Obanikoro to submit his passports. He was only willing to drop his Nigerian passport but he has finally submitted the American one. He was asked to produce two directors, who must also present a three-month salary pay slip. “He has returned N100m and has pledged to return N480m. The actual balance is meant to be N685m, but he was able to provide receipts for some transactions. He paid N85m to someone and that person has been traced. Obanikoro was detained by the EFCC on October 17, 2016, after returning and surrendering himself to the commission in Abuja. He was detained for his alleged role in the diversion of N4.7bn from the imprest account of the Office of the National Security Adviser.